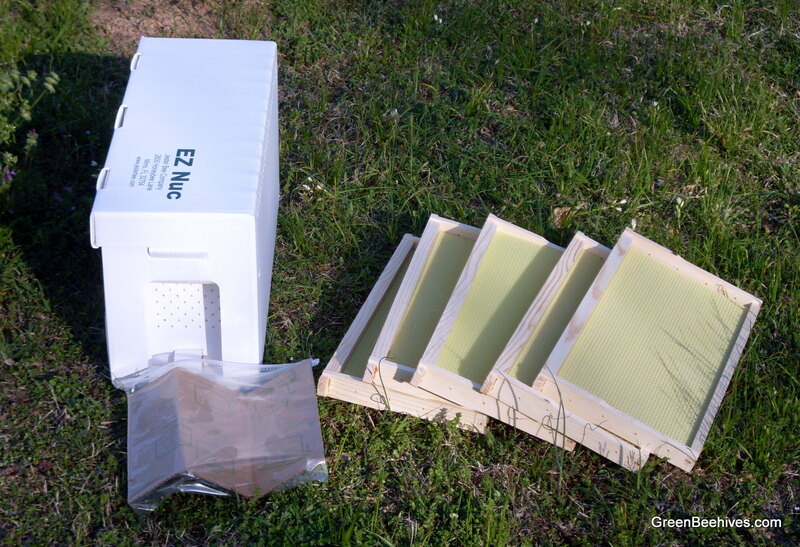 The Nuc Set includes a plastic corrugated nuc box, 5 frames with wax coated plasticell foundation,a Ziploc bag feeder, and swarm lure. It can be used to split a hive, catch a swarm with the swarm lure, or house a swarm you have caught. To split a hive, you watch for a queen cell to be capped over. After it is capped, you move that frame and two frames with brood and honey and all of the bees on those frames to the nuc box along with one new frame. Replace the frames you took with new frames alternating frames that are drawn with those that are not. Check in three weeks to see if the queen hatched, made her maiden flight, and started to lay worker bees. If yes, you have a new hive. If no, repeat the above steps. Swarm lure set is also included. To use the nuc for a swarm trap, dip the cotton filled straw into the vile of fluid. Then staple or tape the straw inside the nuc on the back wall. 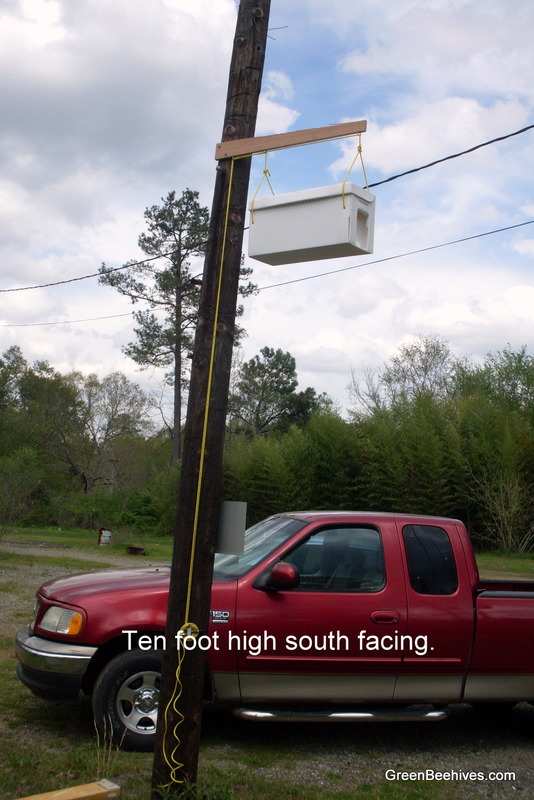 Hang the box about 10' above ground with the opening facing south. If bee activity is seen, let them settle in for a couple of days. Then before sunrise, lower the nuc, stuff a rag in the opening, and move to your desired location. This won't work if there are no hives within a few miles because the scout bees must find it and bring the swarm to it. If you have beekeepers in the neighborhood, your chances are good!